It's not just for the jazzers anymore! Since the 1970s, The Real Book has been the most popular book for gigging jazz musicians. Hal Leonard is proud to publish completely legal and legitimate editions of the original volumes as well as exciting new volumes to carry on the tradition to new generations of players in all styles of music! All the Real Books feature hundreds of time-tested songs in accurate arrangements in the famous easy-to-read, hand-written notation with comb-binding. 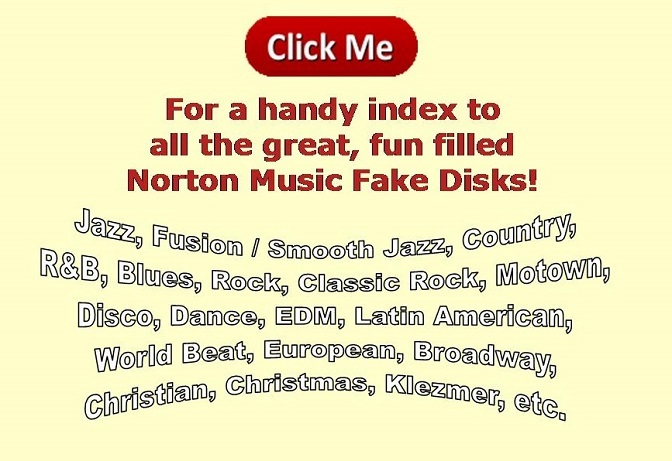 The Norton Real Rock Disk transcribes all the chord progressions of this great book and assigns the best style for each song. This collection presents 200 classics from all genres of rock 'n' roll in the world-famous Real Book format. Abba AC/DC Aerosmith � The Allman Brothers Band The Animals The Beach Boys The Beatles Pat Benatar Chuck Berry Blondie Blood, Sweat & Tears Boston David Bowie James Brown Ray Charles Chicago Eric Clapton Phil Collins Creedence Clearwater Revival Cream Deep Purple Derek & The Dominos Devo The Doobie Brothers The Drifters Earth, Wind & Fire Duane Eddy Edgar Winter Group Eurythmics The Everly Brothers Fats Domino Fleetwood Mac Foghat Foreigner The Four Tops Peter Frampton The Guess Who Heart The J.Geils Band Michael Jackson Joan Jett & The Blackhearts Elton John John Lennon & The Plastic Ono Band Bon Jovi Carole King The Knack Little Richard Lovin' Spoonful Lynyrd Skynyrd The Mamas & The Papas Martha & The Vandellas The Miracles The Moody Blues Van Morrison Roy Orbison Paul McCartney & Wings Robert Palmer Carl Perkins Pink Floyd Poison The Police Elvis Presley Prince Procol Harum Queen Rare Earth Otis Redding Johnny Rivers The Rolling Stones The Romantics Todd Rundgren Santana Bob Seger & The Silver Bullet Band Stealers Wheel Steely Dan Steppenwolf The Steve Miller Band Rod Stewart Supertramp Sugarloaf The Temptations Tom Petty & The Heartbreakers Toto U2 Ritchie Valens The Ventures Wang Chung Bill Withers Stevie Wonder The Young Rascals and many more! As a gigging musician, I must have gotten requests for at least 95% of these tunes at one time or another. This book/disk is a gold mine!